Like most other bike sports, club racing was being organised almost a century ago. 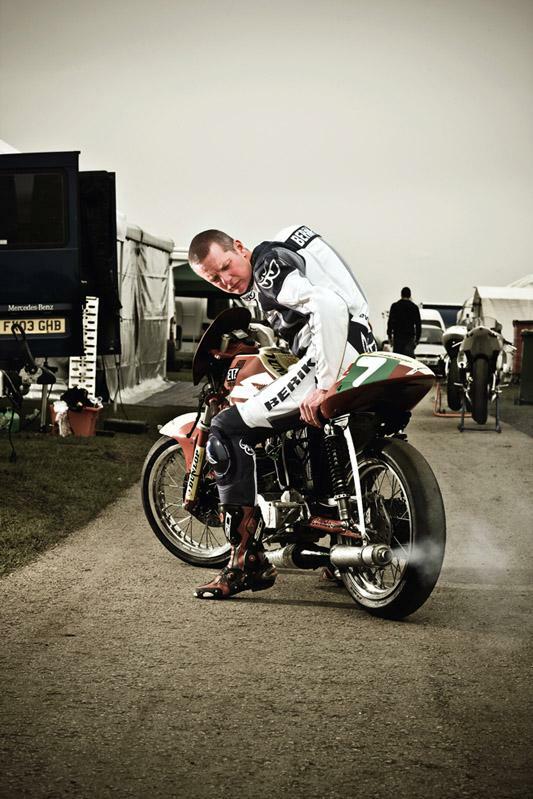 It was 1909 when the British Motorcycle Racing Club was first formed at Brooklands, legitimising amateur racing. In the late 1960s GPs were at a bit of a low ebb. Pure-racing bikes were getting expensive to run, but the Americans were enjoying boom times and selling lots of production bikes. From this came production bike racing – taking the bike from the dealership and putting it on track – with some mods of course. Britain soon took notice and by 1973 had its own ‘Superbike’ Championship. Eventually this form of racing was recognised by the FIM and soon club racing boomed and wannabe racers flocked to the country’s circuits. Most early races were run on disused airstrip perimeter roads, as popularity and safety concerns grew, so too did the circuit requirements. The track day boom has also helped give club racing a leg up thanks to the number of people deciding to give track riding a try, then progressing to racing on the ‘cheap’. Honda Ron Haslam Race Academy. This is the ideal way to learn racing first. They also supply the bikes: 01332 883323 (£179-£369). California Superbike School – a masterclass in cornering: 08700 671061 (£300-£390). Once you’re confident, contact the BMCRC (bemsee.net 01708 509161), get on their training course to learn the ins and outs of racing and pass your compulsory competence exam. It’s not hard! ACU road riding academy graduate, now Kawasaki World Superbike hero. Go Tom! As most of the spectators watching club racing are friends, family and crash vultures. All club races are legendary, but mostly only to the rider. If you’ve ever sat on the edge of your sofa, shouting at your favourite professional racer on the TV, then any race you yourself rode in would be just as legendary. With so many club races happening around the country every week, every rider will name a different memorable moment. But it will invariably involve them. Get to Brands Hatch on the 7th of March or to Snetterton on the 28th to catch the first two BMCRC/MRO Road Race rounds of 2009. 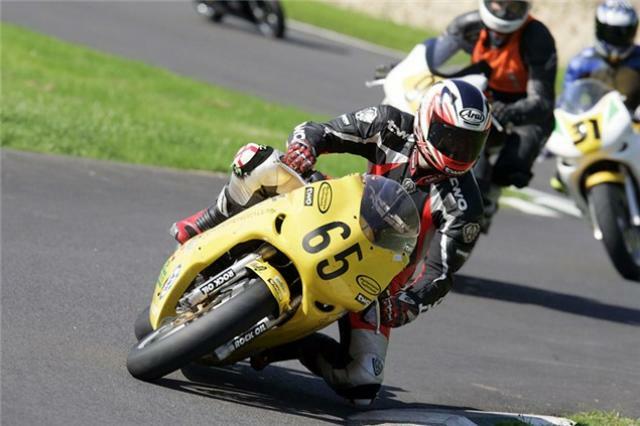 You can find a club race going on virtually every weekend up and down the country, and for every class, be it 125s, 250s, Formula 400, singles, triples, Supermono, Ducati Owners Club and many more. See also: neweramcc.org, nemcrc.co.uk, crmc.co.uk to get you started. Put simply, club racing is your chance to have a go. It’s also the best way of staying safer on the roads by getting your kicks on track. There’s no limit to what you can race as there are clubs and disciplines to cater for every machines and style of riding. And it’s not just for the fastest riders (or those that think they are); anyone who can learn basic track etiquette, flag and marshalling rules and the rudimentary physics of riding around a corner, can get involved. Squirrelly – a term coined by the legendary Kevin Schwantz that refers to when you’re on the gas and the bike starts to get out of shape and oscillate from side-to-side. Spinning-up – when the rear tyre loses traction as more throttle is applied. Low-side – most common crash: rider goes too hard into a corner and loses the front, resulting in the rider falling off the low-side of the bike. High-side – a form of crash where the rear-tyre spins, loses grip, then as the rider instinctively backs off the throttle the tyre grips again and punts the rider into orbit.